Fac-similés d'œuvres de Claude Debussy, . Paris, 2017. Upright, 26.5 x 35 cm, iv, 8 pp. 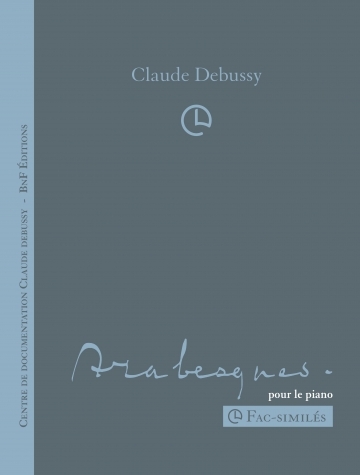 In order to strengthen its editorial policy, the Centre de documentation Claude Debussy has decided to present Debussy’s autograph manuscripts to the public by publishing facsimiles of his works. This new facsimile series, of which this is the fourth, takes particular care in being completely faithful to the original, respecting the size, the colors of the inks or pencils used, as well as the quality of the paper of the documents. Such publications are greatly appreciated by performers and musicologists. 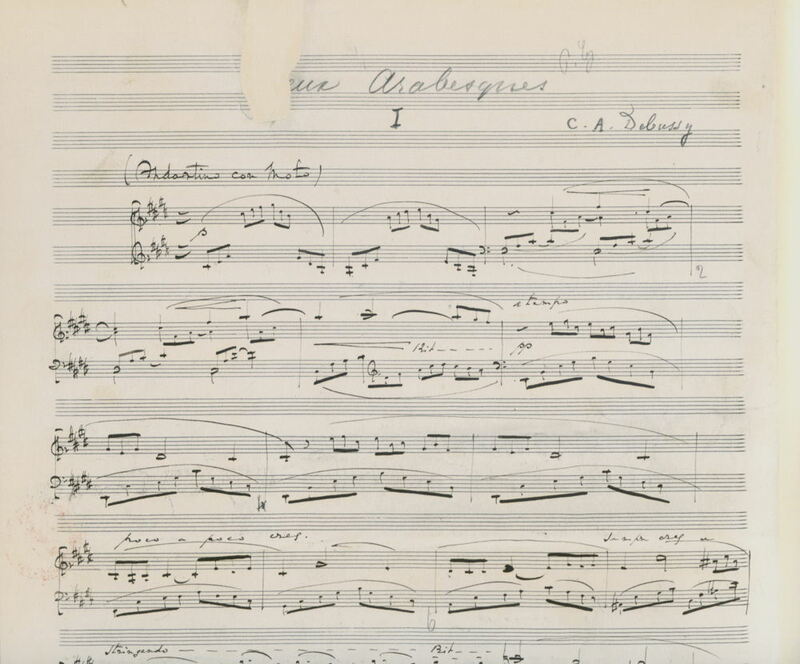 Debussy's manuscripts are scattered all over the world both in private and public collections. These two Arabesques, based on Debussy's meticulously copied fair copy, are especially relevant in understanding the composer's compositional arc: composed when he was in his twenties at a time when he was strongly influenced by the Chanteurs de Saint Gervais (a group founded for the study and performance of early music), these pieces embody a melodic gesture the composer called "divine arabesque", in part the musical language of the "primitives": Palestrina, Victoria and Lasso, whose melodic style the composer believed could be traced back to plainchant ("They found the basis of [the arabesque] in Gregorian chant, whose delicate tracery they supported with twining counterpoints". The early "Arabesques pour le piano" are key to interpreting Debussy's development as a composer. Preface in Fr-Eng by Pierre Boulez. Wrappers with exposed stitching, in special art paper. "When you see it, you will note the patience of a Benedictine required for the graphic notation...."
"I have copied the last note of the Études... Ouf! ... the most detailed of Japanese engravings is child's play compared to the graphic notation of some of the pages..."